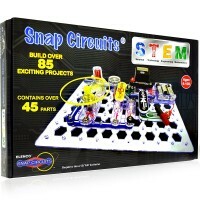 Snap Circuits Beginner kit features 14 extra safe parts, so the youngest engineers can build over 20 first electronic projects. 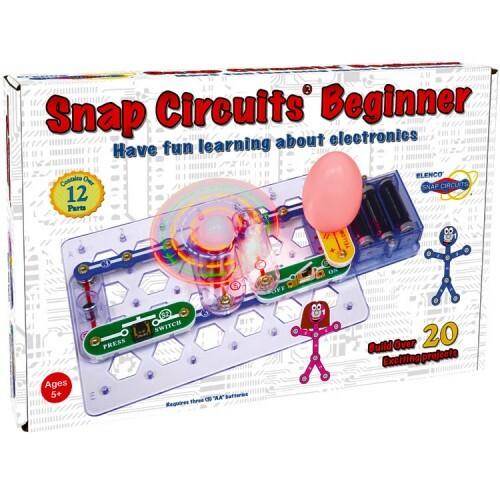 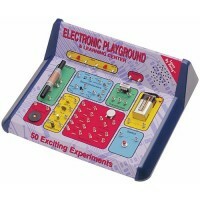 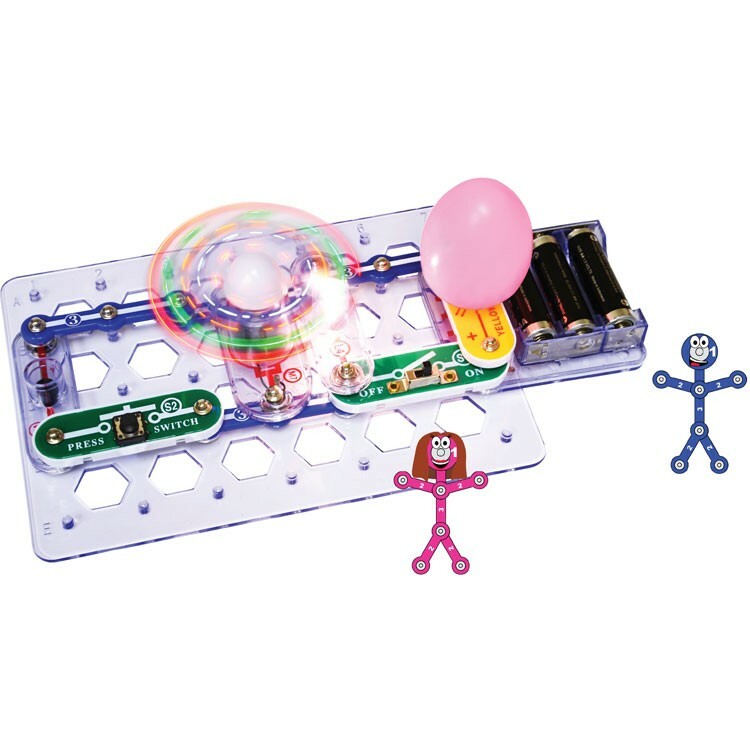 Have fun with your first Snap Circuits experience doing the simple electronic projects. 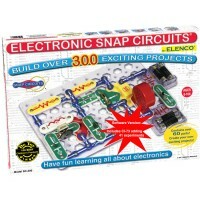 Snap Circuits Beginner Electronic Science Kit by Elenco is a terrific introduction to science problem solving and experimenting with electricity, circuits and physics. 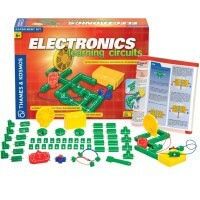 This beginner electronic science kit features 20 projects that can be done with the youngest engineers. 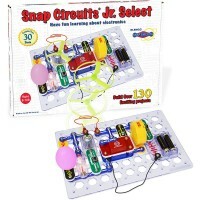 This introductory Snap Circuit kit includes 14 parts, all perfectly safe for young scientists 5 years and up, and easy to follow diagramed manual. Choose your project from the full-color manual, follow the assembly diagram and snap together the listed components to the circuit board, and test your electronic circuit. 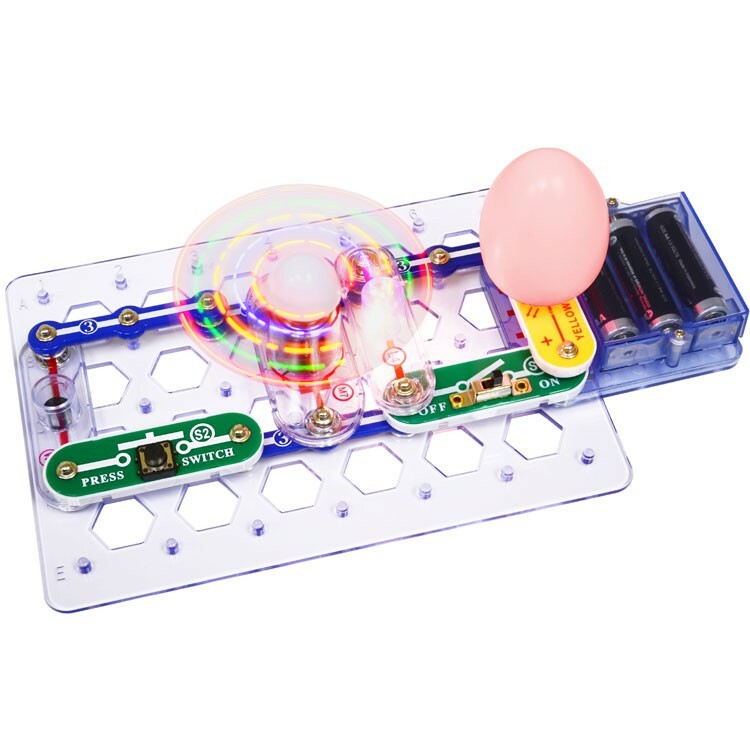 You'll be ready to do the next one in no time! 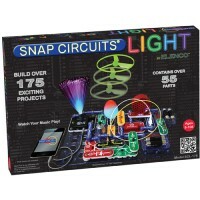 The Snap Circuits Beginner Electronic Science Kit from Educational Toys Planet allows children to do the following projects: light motor, a few fan combinations, different color lights lamp, egg hom, dim lights, horn and more. 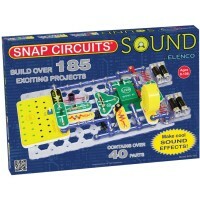 This kids electronic kit requires 3 AA batteries (not included). 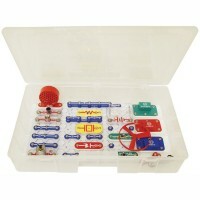 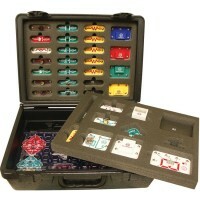 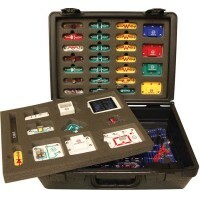 Dimensions of package 8.75" x 11.75" x 2"
Write your own review of Snap Circuits Beginner Electronic Science Kit.